The future is finally here! And how do we know it? 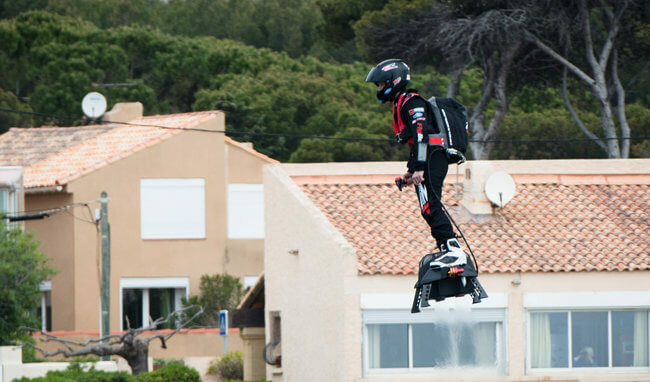 The “Flyboard Air” hoverboard just took a flight of 2,252 meters or 7,388 feet, nearly ten times farther than the last record set on a hoverboard. The device is neatly designed, it’s not cumbersome at all, and while watching it in action we can easily imagine it being in regular production for the general public. Woohoo! The man responsible for bringing the future so close to us is Frenchman Franky Zapata. His Flyboard can fly up to 10,000 feet high and hit 93 miles per hour. It took him four years to create the device, which runs on four 250-horsepower RC jet engines, according to The Verge. The event during which Zapata set the record we mentioned before was attended by Guinness who officially certified it. His flight was recorded on video and when you watch Zapata flying, it looks pretty easy! 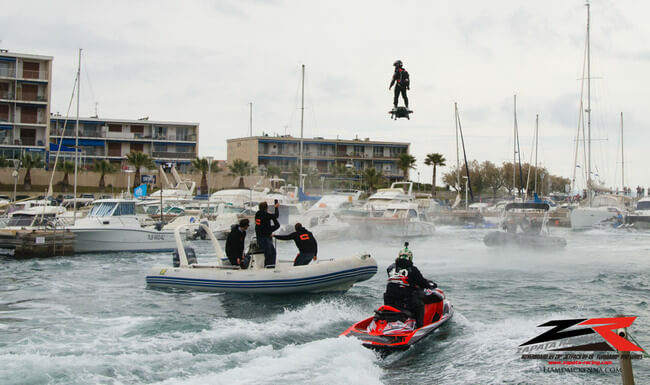 But still he is French jet ski champion, we must have that in mind, and he said himself that it would be insane to try the Flyboard Air without at least 50 hours of experience on the water-powered model. A short video of a test flight went viral and has already collected 3 million views on YouTube. As always, there were all kind of comments among which numerous were those which doubting the video is real. On the other side, the company plans more demonstrations and will soon release the additional footage. Many companies are already interested in the Flyboard Air and Zapata thinks that it would be useful for government and security forces. “If everybody wants a Flyboard Air, we have to work with the government, we have to work with liability, we have to work on a thousand things. But why not?” are Zapata’s encouraging words which leave us excited. In the video below you can see Zapata’s spectacular flight which officially set the new record.